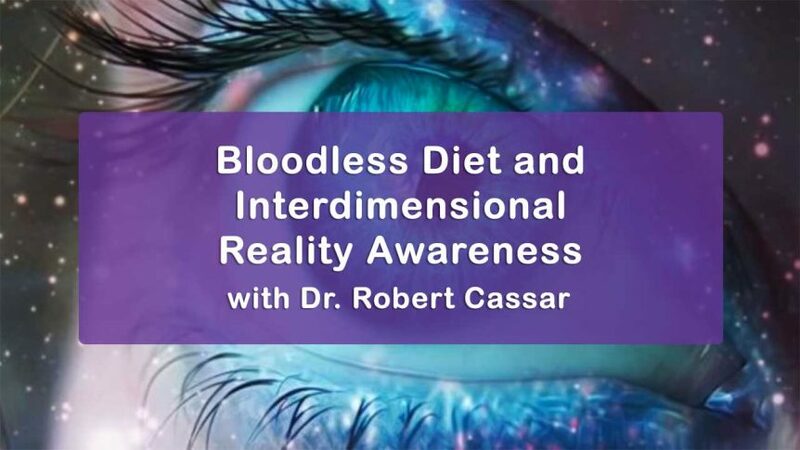 Bloodless Diet and Interdimensional Reality Awareness – Here is another video that has to do with taking a look at the “Human Condition’s” and Inter-Dimensional Realities and Awareness, Concepts, Disciplines and Understandings. This Bloodless Diet and Interdimensional Reality Awareness Course is about some of my personal experiences of letting go of eating all animal / sentient beings flesh a little at a time: I used to eat three times a day flesh in my diet of all kinds of meat and blood. I ate all types of animals – Pigs, Birds, Mammals of all kinds – Fish, Reptiles and many other sentient creatures. Transforming in time to a Bloodless and not any Dead or Alive Flesh / Carcass / Cadavers of any kind. So, lets “Connect the dots” a little to look a little deeper into ourselves and what we are doing consciously whether we know it or not. We are also going tot talk about my very powerful Amazonian Ayahusca ceremony just a few months ago. We are all starting to see another reality that we could not feel, see, hear or touch just a little time before in your life. We are truly multi-dimensional and milt fraction beings that are operating simultaneously on many different levels of awareness, and Sub / Super Conscious Layers of understanding – known or unknown to the person, creature or beings. These layers are truly amazing, and are not explainable unless they are experienced. These layers are not to be talked about only they are to be experienced. Again, some of the new ways we are all thinking / creating is to have more critical / reasonable thinking. More of a researching of the mind and child curiosity is the key to these areas that most of us have forgotten. If we are to have critical thinking them we must start to Question Everything?? We are told or have been told many things as we are growing up. Now we are curiously finding out a lot of the information that we have be told by the authoritative powers to be have been flawed, or not true to some degree or ever totally a lie all together. These are the old world stories. You may have to UN-learn a lot of things that I had too. Cleaning, detoxing, rebuilding and learning how to live the body and mind is a total necessity to start to get back some of our sanity from unknown possessions, mostly from eating dead flesh and the drinking of sentient animals blood feeding our parasites directly, or what I call the Vampires of the Body and of the Mind inside of ourselves. If you have been on a Vegan Diet for 6 months how effective will you be with eliminating parasites? Aloha Raphiel, Just because you have a vegan or vegetarian diet doesn’t mean that you are going to become more healthy, wealthy, happy and wise for sure. Watch and listen to the parasite video lectures we have to understand the reason wy we have parasite4s and how to let them go philosophy. It takes a long time to figure out how not to re-accumulate these pesky elusive parasites back into our world and if they are here in our world then we need to figure out to navigate them for sure. Just because you are doing a vegan diet doesn’t mean that is the healthiest way to go. I tell people to don’t put yourself in a box but to not have any blood in your diet for the next 6 months and see what happens. PS: its a great or good start to let go of all blood and flesh for sure. Detoxification is the key to rejuvenation and conscious advancement.